On my way from Kohala to Noon Bagla walking on foot for 18 hours covering approximately 60 kilometers or more I saw hundreds of men, women and children already gone to eternity, hundred ready to go and many fighting for life. Wrath of Mother Nature was indiscriminate. The ground was unstable with miles long fresh wounds, soil and boulders flowing downwards with terrific speed and force perhaps looking for more lives to burry alive. It was only the blessing of Lord that I reached my village to see nothing else but complete destruction, injured neighbors, relatives and school children, dead bodies lying on ground including my father. There was no hope in this remote area which was isolated now due to complete destruction of roads and other communication links. Desperate attempts to survive, and wishing an easy demise was the willing of every survivor who was not enjoying the life but facing terror and threats. Shaky earth was floor and blue sky was the roof. Rest was swiped and swept. “Well, someone who came to take pictures and proliferate his personality. Many more will come and go from this stage set for people to make movies and pictures for their profile” I thought. He dispatched many truck loads of basic commodities, flour, cooking oil, sugar and tents etc. to Noon Bagla, and first time in many days I saw people happy with food in their stomach. But this time he did not come. He kept sending aid without a schedule. His men made organized distribution among villagers. Each time I thought this was the last drop as he was not coming with the consignments. Mr. Shah arrived again with a crew of foreign telecasters. I was called by village community to brief the foreigner because I could speak little English probably better then others in the village. As a tradition I follow the foreign guest to the road to see him off where his car was parked. Many people were gathered at the point where the vehicles were parked. I saw an unfamiliar Pakistani face there. The foreigner guest came near him and said “Nadeem. This is Waheed and he was very helpful down in the village “O’ I see. This is Mr. Nadeem Shah. He seems nice and humble” I thought. Mr. Shah shook hands with me and asked few preliminary questions about myself. The British guest had to record an onsite interview of Mr. Shah and for that he requested people around to keep silent and stay at a distance. The interview was in English therefore people had no interest due to language barrier. However, I stayed at a listening distance to hear what Mr. Shah says. It was a brief interview but I felt as Mr. Shah is expressing our suffering, feelings and our longing not as an alien but as if he was also a victim of the calamity and was the part of this community. I had no choice but to change my perception that he was someone there to prop up his personality. For first time I thought he was someone genuine and loves humanity beyond any linkage. With many other community members I saw them off from the village. After few days he came again with aid and ideas. In his frequent visit he studied the region and assumed the long term genuine need of the area. I was very much inspired when he spoke about his finding and said that a health facility was the vital for the area. To me it seemed as if he were watching us on the second night of the earthquake when I was yearning for few drops of nothing special but kerosene oil, and clean cotton of not any better quality then a clean pillow filling to cover the open wounds of injured women and children of my family and neighborhood lying and crying in my garden. I felt as if Mr. Shah was watching us before the earthquake when we use to buy Paracetamole (headache tablets) from grocery store, and feeling very lucky if available. This gentleman had realistic approach and his idea was indeed our dream. 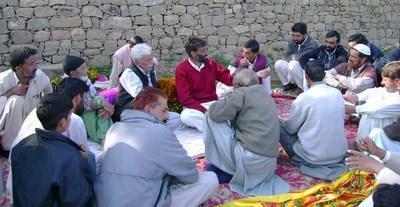 “That is what we ask for“ He said, I assured him my unconditional support and travelled back to Kashmir. Next day he came with his son and few friends to deliver books, note books and other aids to support the school going children. Tariq Shah distributed these accessories among the children in tent school of Noon Bagla. My first assignment was to arrange a community leaders meeting. I did that and few things were discussed with the community. My next assignment was research, family survey, and other basic tasks. In the mean time his friends from England kept visiting Kashmir and I had to arrange for their visits, stay and rest from Mr. Shah’s pocket. 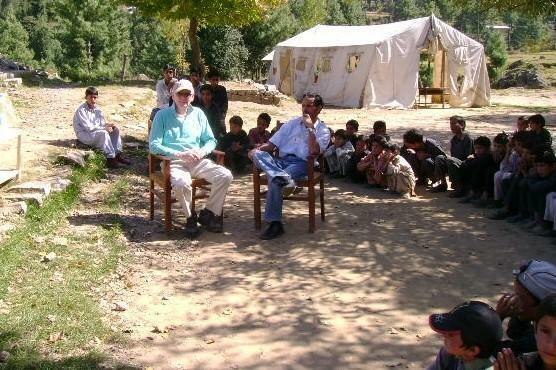 Mr. Martine Sedgley, a well-known university professor and friend of Mr. N. Shah was sent to region for research and observation in July 2006, who visited again later along with his family. It was August 2006 when Mr. Shah came to Pakistan and handed over to me an appointment letter as Project Manager of AHS Foundation. I was very much surprised that he didn’t bother to ask me signing any contracts or agreements but started advising me not as an employer but as an elder brother. That was the time when I decided not to leave him and his charity until he says so. He always had dozens of instructions and advices’ making it clear to me that Mr. Shah was very practical and wants perfection even in minor and negligible things. During frequent visits of Mr. Shah, and his meetings with local elders the first task was to acquire land for proposed hospital. With the assistance of local community he chose and acquired the required land for the construction at market place of the village. The owner was paid market rate of the land. The land was uneven mountainous place and needed a lot of excavation. It was impossible to use workforce to shape the place for any construction and excavators in all over Kashmir were working day and night to restore the link roads and main routes as well as clearing debris of fallen buildings etc. We requested “DIAKONIA” (an international NGO working on mega project in the region) to provide us their hired machine. They dispatched their excavator for few hours. 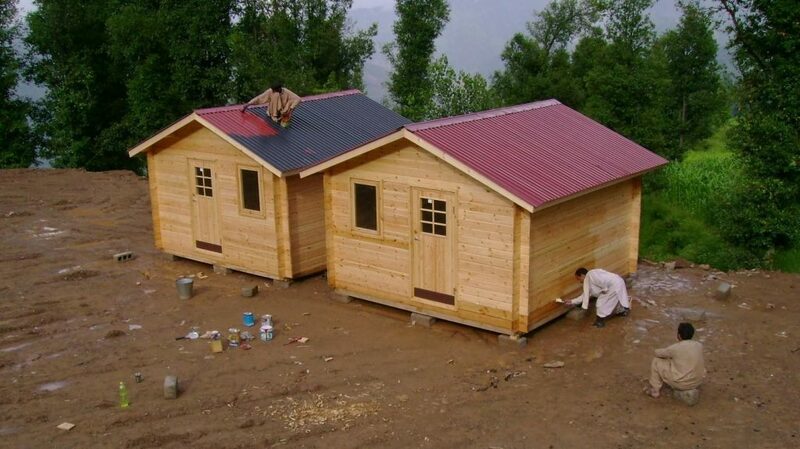 In the mean time Mr. Shah used his contacts and succeeded to attain two wooden log cabins from AAPKI Foundation Sweden through Dr. Zahra Saeed for dispensary. He didn’t want to wait till the construction of conventional building. 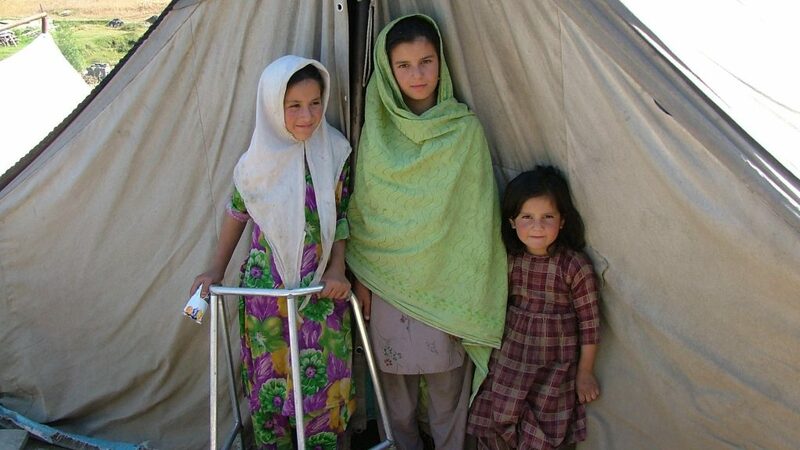 He was very impatient to start help in healthcare in shortest possible time. Mr. Geoff J Needham, Director AHS Foundation visited the site with his friend Mr. Paul Lunn. He met with ERRA (Earthquake Reconstruction and Rehabilitation Authority) Chairman General Nadeem and Health Secretary of AJK General Jahangeer. Other official of the government and NECPak (National Engineering Council of Pakistan) were approached to get advice for planned Health Centre. 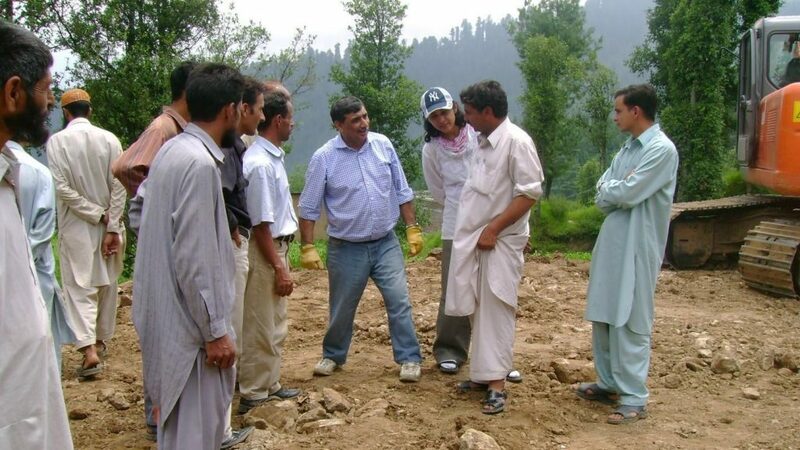 From Land Preparation to construction of BHC (Basic Health Centre) till inauguration on May 17, 2011, is a long Story. We achieved what we struggled for. And now!